Chemicals :: Grinder Coolants :: INLAND RINSES OFF OIL 4OZ. Home/Chemicals/Grinder Coolants/INLAND RINSES OFF OIL 4OZ. 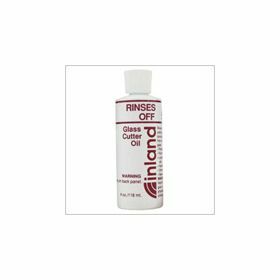 INLAND RINSES OFF OIL 4OZ. 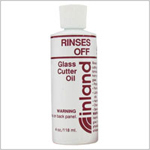 Rinses Off' Glass Cutting Oil is a water-soluble fluid developed especially for glass cutters. High lubricity fluid helps your glass cutter wheel roll smoothly for a good, continuous score. Rinses off easily with water.